A beautiful community event for everyone! 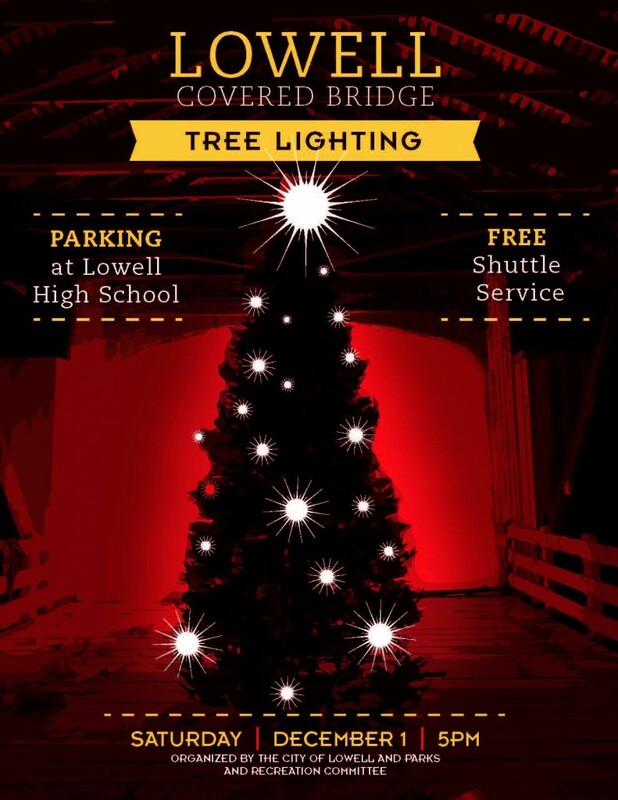 The Lowell Covered Bridge Tree Lighting on Saturday, Dec. 1, 2018, beginning at 5:00pm. There will be lights, singing, refreshments and memories.